Do you represent a North Dakota State Government Agency and wondering how you should archive all your web and social media content? Are you trying to determine what you need to do both from a legal and a technical point of view? Here’s a guide to the different Laws and processes you should follow. What Laws govern Records Management in the State of North Dakota? 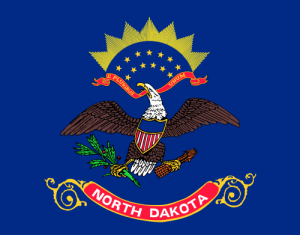 North Dakota Open Records Statute (N.D.C.C. §44-04-18 et seq.) and North Dakota Open Meetings Statute (N.D.C.C. §44-04-19 et seq). govern social media and open records in the State of North Dakota. Like other states, North Dakota has “Sunshine Laws” which provide that all government records and meetings must be open to the public (unless a specific statute requires or authorizes a meeting or record to be closed). Do North Dakota State Records Laws include Website and Social Media content? Any communication with a North Dakota public agency or official relating to public business and other information relating to official business or public funds, regardless of format or location are subject to these regulations. All North Dakota public entities are subject to both open records and open meetings laws. The definition of public entity includes state and local government agencies, rural fire and ambulance districts, public schools, private businesses or non-profit organizations that are supported by or expending public funds, and contractors, if the contractor is providing services in place of a public entity rather than providing services to that entity. Courts are not subject to open records and meetings law. In this technological age, as public entities increase their use of and dependence on electronic recordkeeping, they must provide reasonable access to records electronically maintained and must ensure that exempt or confidential records are not disclosed except as otherwise permitted by law. N.D.C.C. § 44-04-18(3). An agency must also establish procedures for providing access from an outside location to any electronically filed or stored information maintained by the entity. N.D.C.C. § 44-04-18(5). The requestor has the option of accessing an electronically stored record in either a printed medium or through any other available medium. N.D.C.C. § 44-04-18(4). A computer file is not considered an available medium if no means exist to separate or prevent the disclosure of any closed or confidential information contained in the file. N.D.C.C. § 44-04-18(4). North Dakota legislation states that an entity does not have to convert its records to another format, create or compile records that do not exist, or obtain records originating from another public entity that it does not have in its possession. How can we transfer website archives made with PageFreezer to the North Dakota State Digital Archives? PageFreezer exports all data on request in the original file format including the required metadata. This data set can be transferred by FTP or by other means to the North Dakota State or Agency Digital Archives.